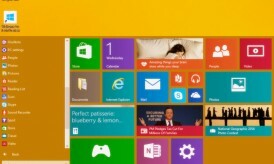 Start menu is back again. Nothing can be more joyous than seeing the fresh version of old start menu hit back with Windows 10. 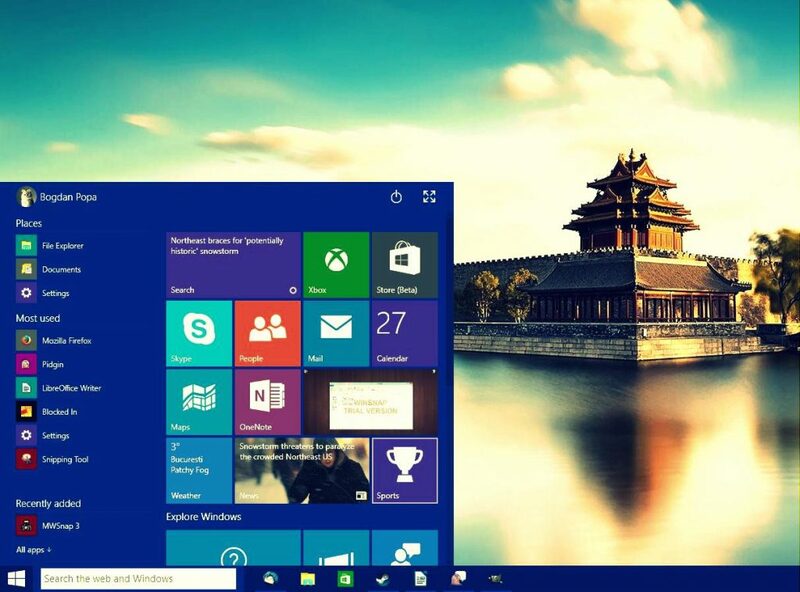 Although the start menu shares some similarity with Windows 8.1, it has now become more lively with live tiles and metro apps which can be turned on and off on your wish. You can also customize other apps in the start menu to either fit them in the full screen and create a Windows 8.1 like experience or simply unpin them to enjoy old school start menu. Intelligent Cortana is here on Windows 10. 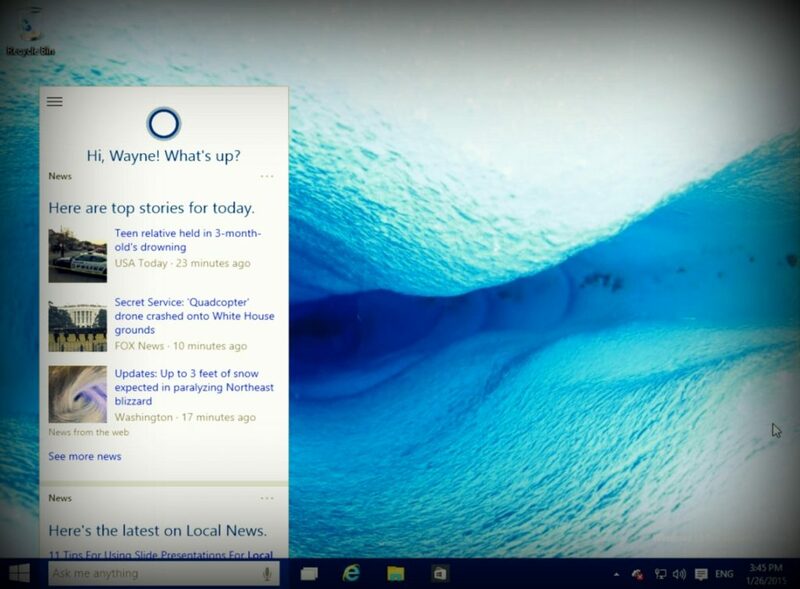 Cortana can be like your personal assistant. Tell her to set reminder, Make phone calls, set alarm, open up files from hard drive or even from One Drive and she will always help you. Cortana will start by knowing about like getting your personal information, then by utilizing all this data she will automatically look for content that are more necessary and relevant to you. Thus, it will make your web surfing quite easy. File Explorer gets ‘Home’ option and it’s beautiful. Unlike the previous version of Windows, Windows 10 features a new ‘Home’ option in its File explorer where you can find Favourites or frequently used folders and even recent files. ‘Home’ can be accessed from sidebar in File Explorer window. 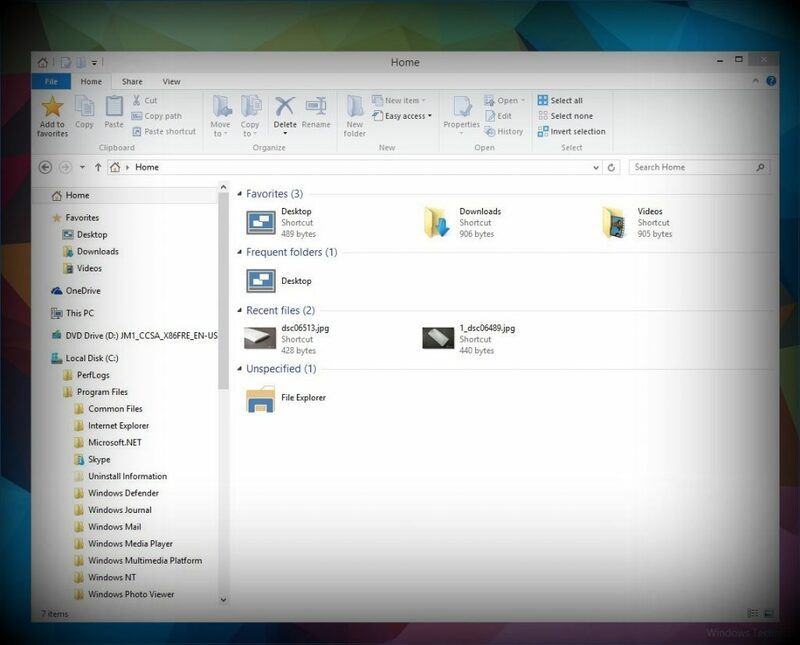 Furthermore, the folder icons in explorer have become more flattened and fresh. And once you get used to all of this, you will find that it reduces your effort and saves your time. 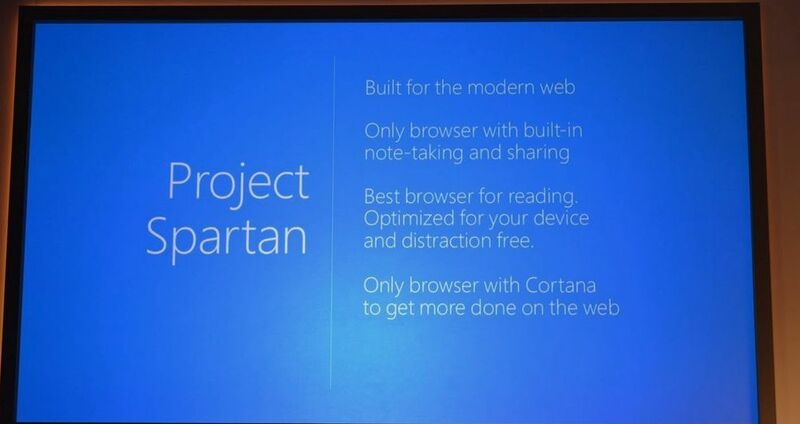 Project Spartan replaces Internet Explorer on Windows 10. 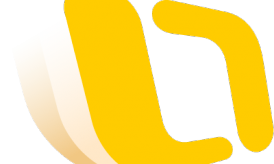 From last couple of months we have been hearing a lot about Microsoft’s latest Project Spartan which will replace Internet Explorer forever. From the early impression we certainly believe Project Spartan to be a game change. Demonstrating the Project in a demo video, Microsoft showed up how Spartan will change your browsing experience. Microsoft has something very exciting for Xbox gamers, that is – Xbox App on Windows 10. Right from Activity feed to viewing your own achievements, the Xbox app on windows 10 has almost everything in it. The left part of the app screen allows you to access your achievements, messages and store. And on the right you can view your Online and Offline friends. Moreover, if you wish to see your Xbox Live friend’s activities, you can do that by clicking on Activity Feed option. And the catch is, you can stream your Xbox One games to a Windows 10 device. How cool is that!